Hey Backbeaters! 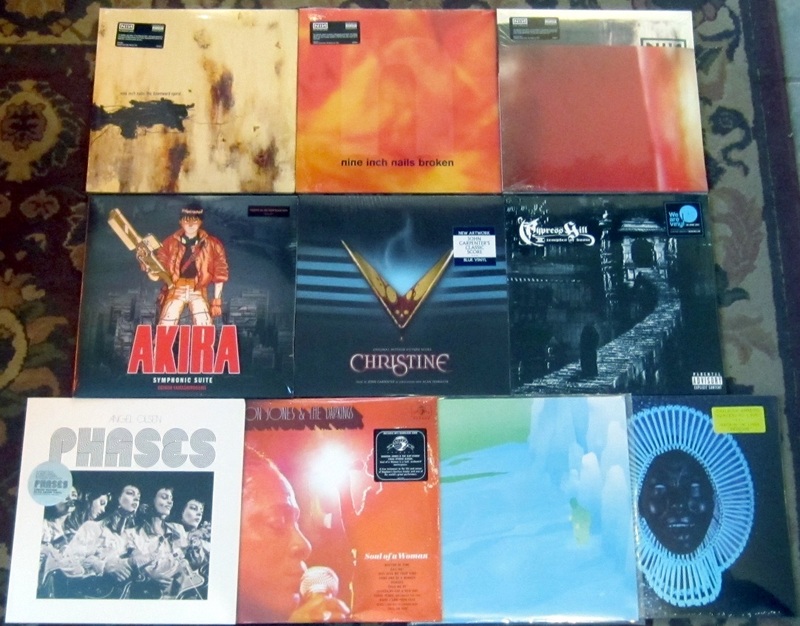 Let’s start the week off by checking out some of the recent new vinyl releases to arrive. We’ve got new albums from Sharon Jones, Angel Olsen and Low Lumens. The standard vinyl edition of Childish Gambino’s latest “Awaken, My Love!” has dropped along with the amazing soundtrack from 1988’s stellar film Akira, this one was only ever released on vinyl in Japan in 1988 (and it’s not cheap!) so we’re pretty stoked they’ve finally decided to reissue it. Cypress Hill, Nine Inch Nails and the soundtrack from the movie Christine round out the latest reissues to arrive. Some pretty great titles to sink that stylus into! A list of our restocks and additions will be at the bottom of this page. Let’s get on to the new releases. Sharon Jones & the Dap-Kings’ final studio album, Soul of a Woman is a lush, orchestral masterpiece. A true testament to the life and career of Daptone’s fearless leader and one of the world’s greatest performers. Restocks and Additions to our mighty fine new vinyl selection here at Backbeat. September 8, 2017 New Vinyl Releases From The War on Drugs, Death From Above, Iron & Wine, The National and Neil Young available now.